Hi all, Mr. RC here today and words can’t truly explain the excitement I am feeling with this week leading up to my One Year Anniversary with the Mrs.. Though I know we are not the only ones on the planet who experience this monument in each others lives, it is pretty cool to know we have had a successful first year of marriage and that just means many more successful years to come. Now how about those words consistent and normal? Pretty common in the English language but for the purposes of this post I would like to throw those words out and replace them with unique and obscure… that’s right I am talking about anniversary gift ideas. Ok true, some of you may say I want to play this one close and just get her some flowers and take her out for a romantic dinner to remind her of why she said “Yes” and “I Do” in the first place. I say to you boring (yawn). Be creative, be unique still remind her of why she said “Yes” and “I Do”, but show her you can still have that element of surprise and thoughtfulness. Here are some nice ideas to make any anniversary gift truly from the heart. A gift does not necessarily mean it has to be a physical object. What I mean is surprise her by doing something similar to a particular memory that you both had together and try to recreate it for her. Not only will she think you have a stellar memory, but then you can both reminisce about the original memory on the date you recreated of it. Jewelry! Ok I get it, this idea sounds no different from the flowers and all but this is a good option if she is the type to like surprises. However, creating a scavenger hunt that either she needs to complete or the two of you can work on together is a great alternative from just handing her a small gift-wrapped box on the day of (Oh yeah, in case you haven’t realized by now, that “little blue box” is your failsafe). 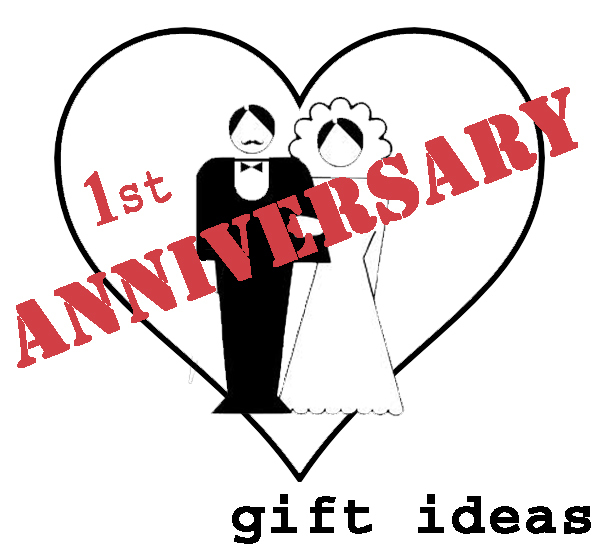 Stay tuned later today to catch Alyssa's guide on 1st anniversary gift ideas for your husband.